This business allows me to meet some really great people. 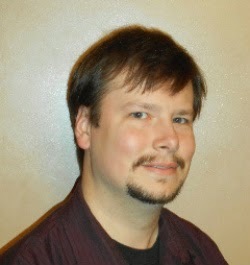 Among them is young adult fantasy author, Eric Price. I'm excited because we are approaching release time for the second book in Eric's Saga of the Wizards series. Today I'm happy to help Eric show off the awesome cover as well as share an excerpt from the book. Eric - take it away! My favorite cover artist in the world is C. K. Volnek for two reasons. First, her covers are amazing: check them out here. Second, she designed the cover for my first two books with Muse it Up Publishing. 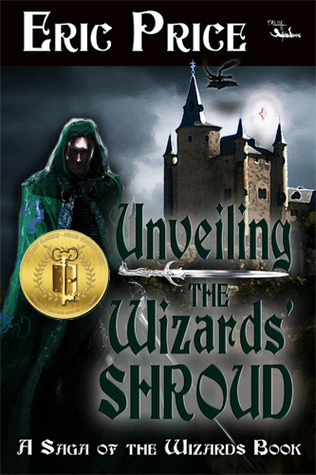 The award winning Unveiling the Wizards’ Shroud (CLC’s Best First Novel 2014) chronicled Yara, Owen, and Cedric’s quest to revive King Kendrick from a dark, magical spell. After the adventure to save King Kendrick, for Yara, everyday life has grown monotonous. The dull work of learning her father’s blacksmithing trade, and the pressure from her parents to decide what she plans on doing with her life, has her nerves so stressed she snaps at her father’s slightest teasing. Lucky for her, a surprise messenger from the castle brings the king’s request for her to join a collaborative mission between the Central and Western Domains of Wittatun to stop a recently discovered slave operation in a land to the west. 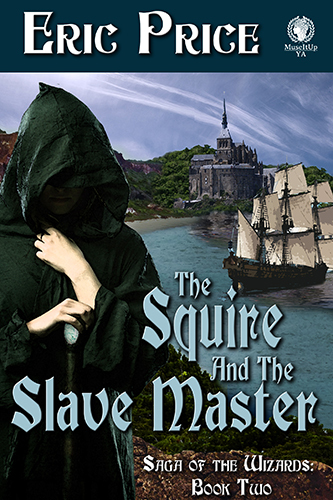 King Kendrick and Owen want her to accompany the mission as a secret weapon disguised as a squire. She has to keep secret not only her magical abilities from any possible traitors, but also her gender. The people of the Western Domain have a superstition prohibiting girls from sailing. But a chill wind carries the distinct odor of sabotage. Can one girl survive to destroy an evil rooted much deeper than mere slavery? “King Kendrick and Owen think an undercover magician could give us an advantage. I agree with them. Besides, I want to go. I need to get away from here for a while. Plus, I’m an adult now. You can’t tell me what to do.” Chancing a glance at her father, she hoped she hadn’t upset him again. Their earlier argument had been mostly in jest, but the comment she made about her brother must have stung. "When I left in search of Owen and Cedric, I didn’t have time to tell you. This time we have a plan.” Yara chewed her last piece of rib meat. She’d snuck out after her parents had turned in for the night. She could usually count on her father to have a level head…when he wasn’t provoking her about a woman’s place in the world. As long as they don’t attack me in my sleep. Her father collected the dirty dishes. Of course there’s always the question of what we’ll find in Buisna. Why does a country the size of the Western Domain need our help? How large is this new country? How many people are there to fight? The military of the Central Domain is weakened from the attack by the Wizard Rebellion. Why would King Kendrick decide to send troops at a time like this? Do they know, or suspect, more than Owen told me? A loud, rapid knocking at the front door startled her. Answering it, she found Owen standing with a man about his same size but a few years older, donned in the armor of the King’s Sentry. Eric Price lives with his wife and two sons in northwest Iowa. He began publishing in 2008 when he started writing a quarterly column for a local newspaper. Later that same year he published his first work of fiction, a spooky children’s story called Ghost Bed and Ghoul Breakfast. Since then, he has written stories for children, young adults, and adults. Three of his science fiction stories have won honorable mention from the CrossTime Annual Science Fiction Contest. His first YA fantasy novel, Unveiling the Wizards’ Shroud, received the Children’s Literary Classics Seal of Approval and the Literary Classics Award for Best First Novel. 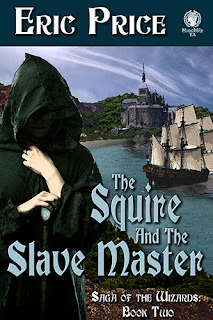 His second novel, The Squire and the Slave Master, scheduled for a Fall 2015 release, continues the Saga of the Wizards. He is a member of SCBWI. Find him online at authorericprice.com. Thanks for hosting me today, Kai. My pleasure. And great excerpt. I want to know why they have to leave right away! Thanks for sharing Squire with us. Congratulations to Eric...those are some nice covers! I agree, Stephanie. The covers are awesome! Thanks for stopping by. Thanks, Stephanie. I thought I already replied to you, but I guess it didn't go through. I tried to say something along the lines of you may not be able to judge a book by its cover, but a boring cover has never caused someone to try a new author. Congrats to Eric. I like the eerie covers, especially the one on the left. Thanks, Medeia. I wanted to covers to reflect the overall feel of the books. Even though the second has some uncomfortable parts, worse than anything in book one, the first book, on the whole, has a gloomier atmosphere.